Founded by Thea Ingram, Stanza Interior Design is dedicated to creating beautiful, functional spaces. Stanza Interior Design works closely with both private and developer clients to achieve simple, bespoke interiors that are perfectly suited to the end user. Detailed design ensures that useful space is always exploited to create much sought after storage. Recent projects include a lateral apartment in Kensington, a Notting Hill maisonette, a kitchen and extension in Balham and a family villa in Italy. We would begin with a site visit to meet the client and to asses the space and scope of work required. The budget and overall desired aesthetic of the project are discussed with the client at this stage. 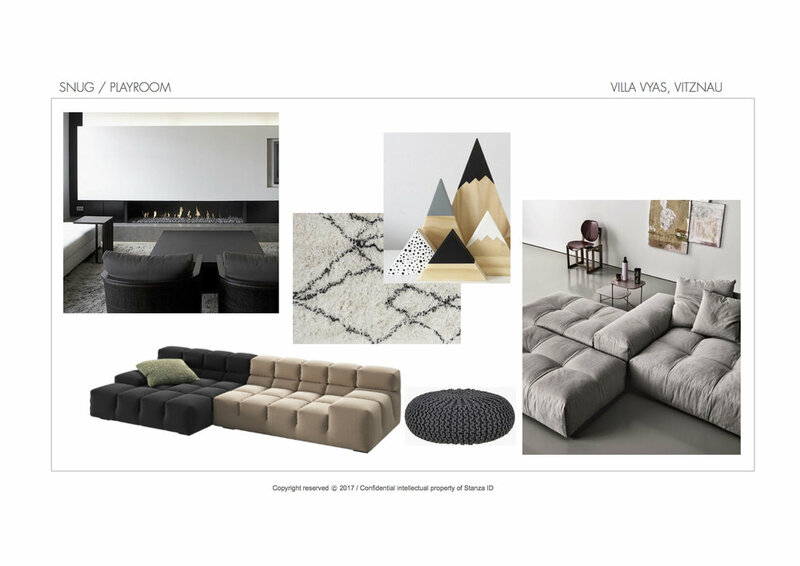 The design process would begin with mood boards and scale drawings detailing the proposed layout of the space to bring the project to life. We work closely with architects and site managers to ensure the design works within the proposed, or current, structure of the property. 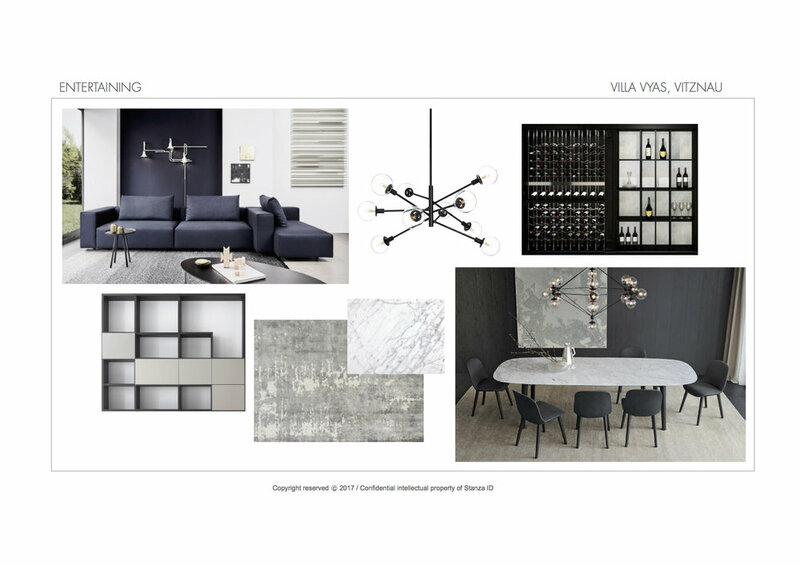 We can then begin the sourcing of kitchen, flooring, lighting, bespoke joinery, furniture, accessories, etc. When the concept has been approved by the client we manage the procurement and scheduling of works and make sure all products are delivered to site on time. To finish, we personally install all furniture, accessories and artwork and dress the space. Having studied Italian at Sussex University and inspired by her Architect father, Thea started her career in Italy restoring property. After studying Interior Design at Chelsea School of Art on her return to London, she worked for the Italian kitchen company, Schiffini, and after maternity leave decided to set up on her own as an Interior Designer. Her attention to detail as a designer, strong project management skills and her ability to quickly build good relationships with both clients and contractors have led to successfully completing projects spanning the refurbishment of studio apartments through to complete property renovations. Kate worked for a prestigious Chelsea based Interior Designer for the past 8 years before joining Stanza. Working with high end clients on extensive projects throughout London, Kate has developed excellent relationships with suppliers and contractors. Her experience running large scale projects from specification through to procurement at this luxury level make her a valuable member of the team. Lou started her career in Marketing for luxury brands, but after years of buying up derelict properties, developing them into family homes, moving on and starting again she decided to quit marketing to pursue a career in Interior Design. 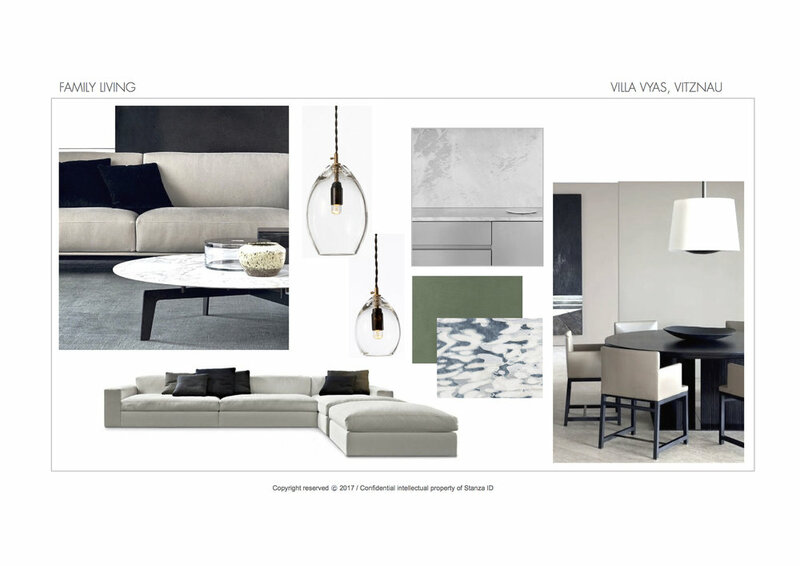 Her strength lies in the visualisation of a finished space using an eclectic mix of furniture and finishes whilst working within budgets at all levels.